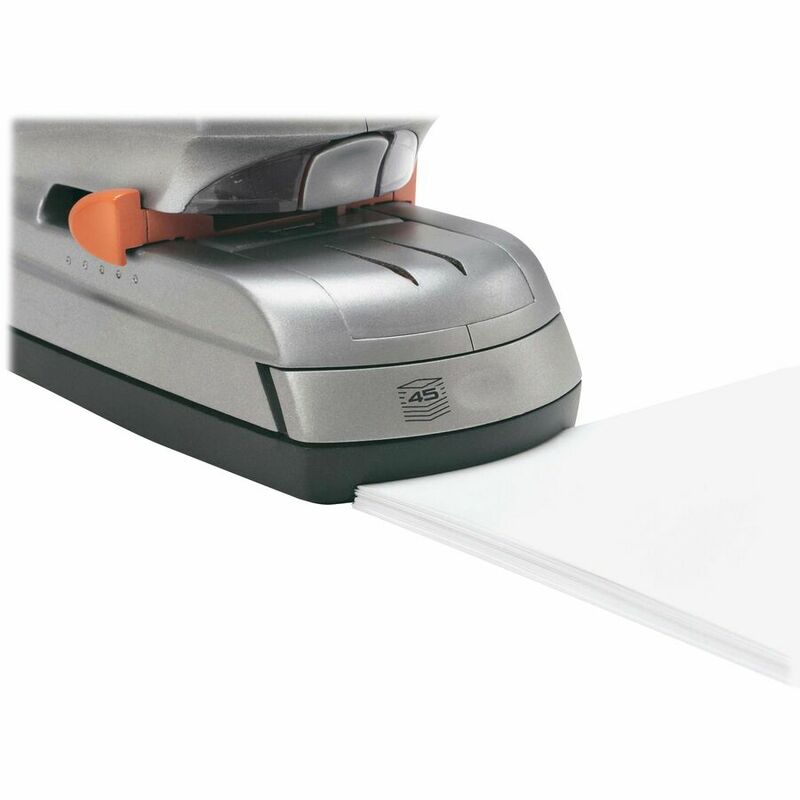 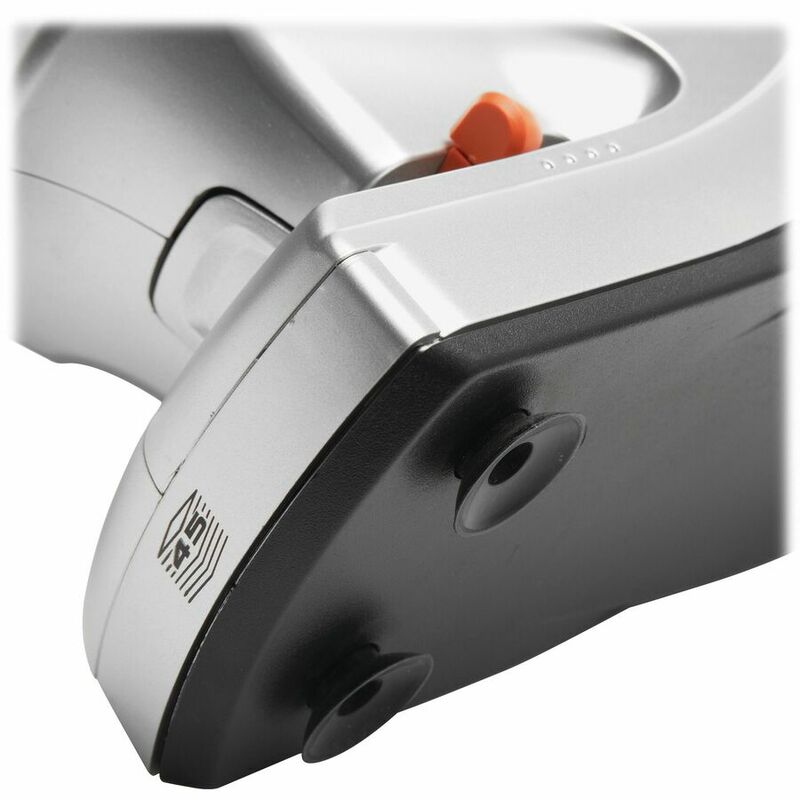 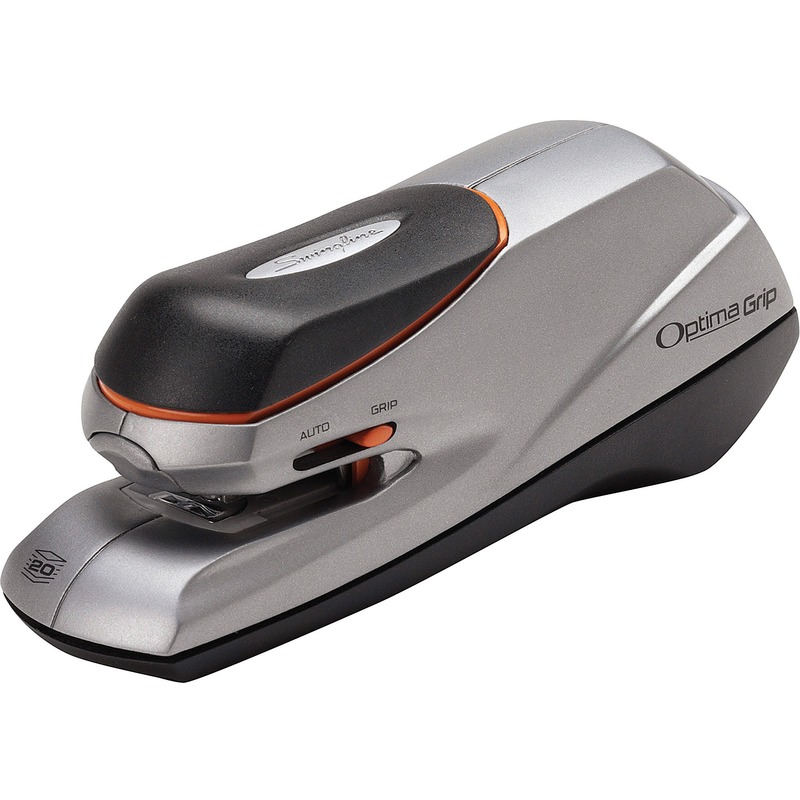 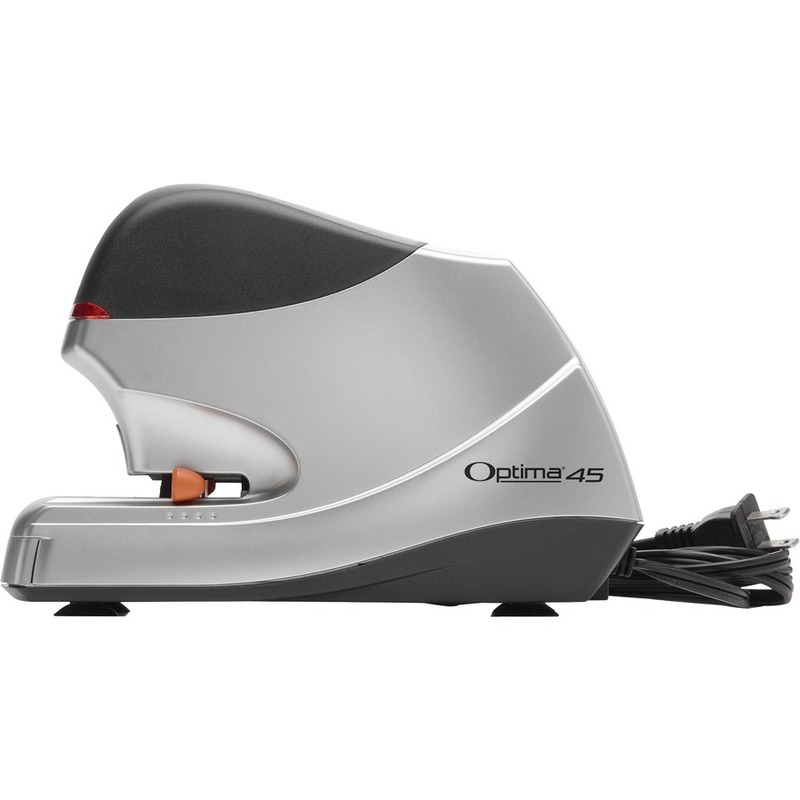 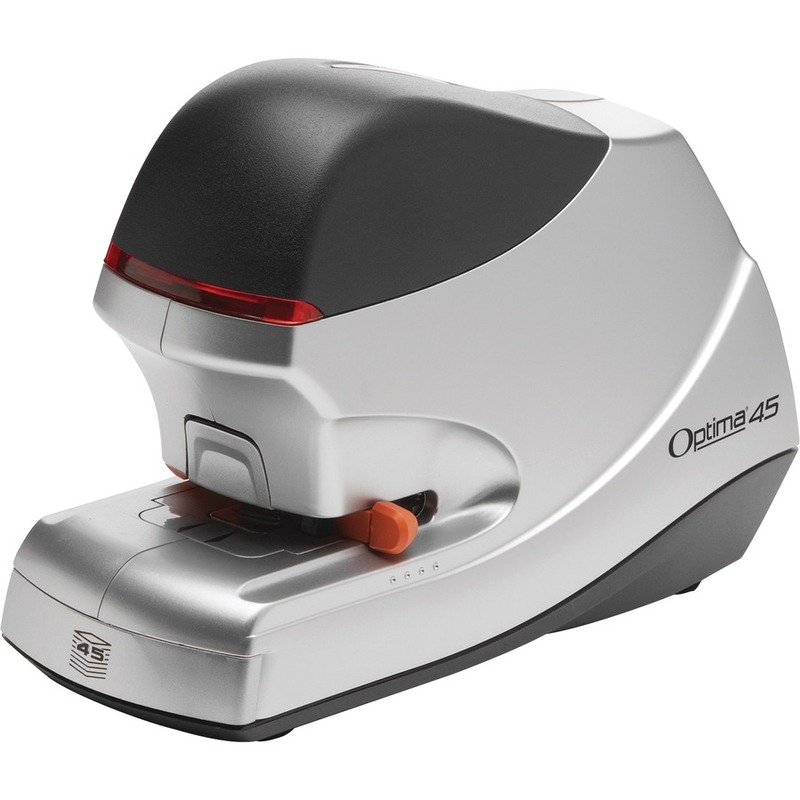 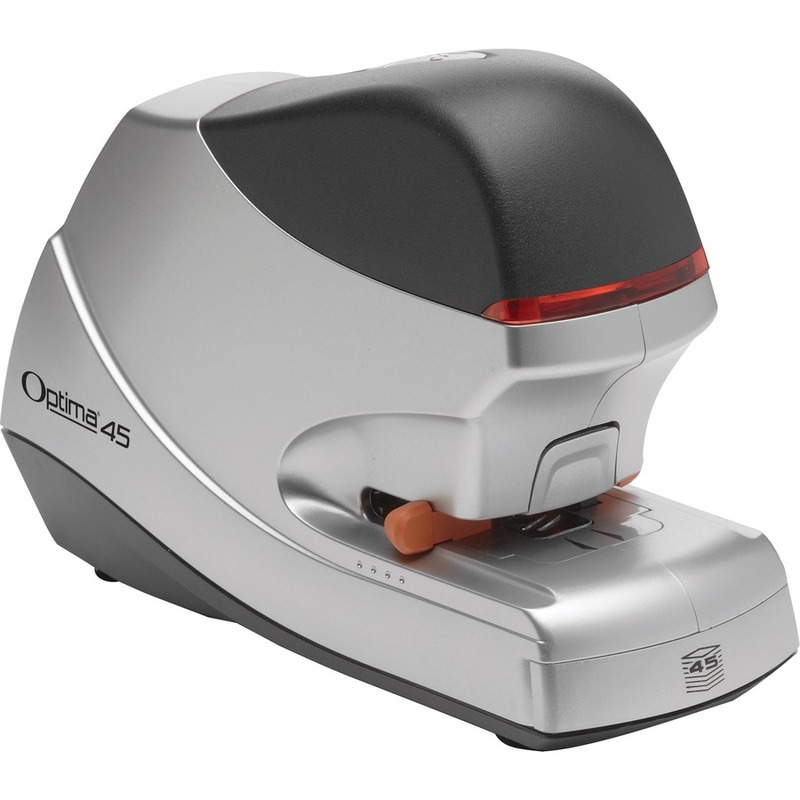 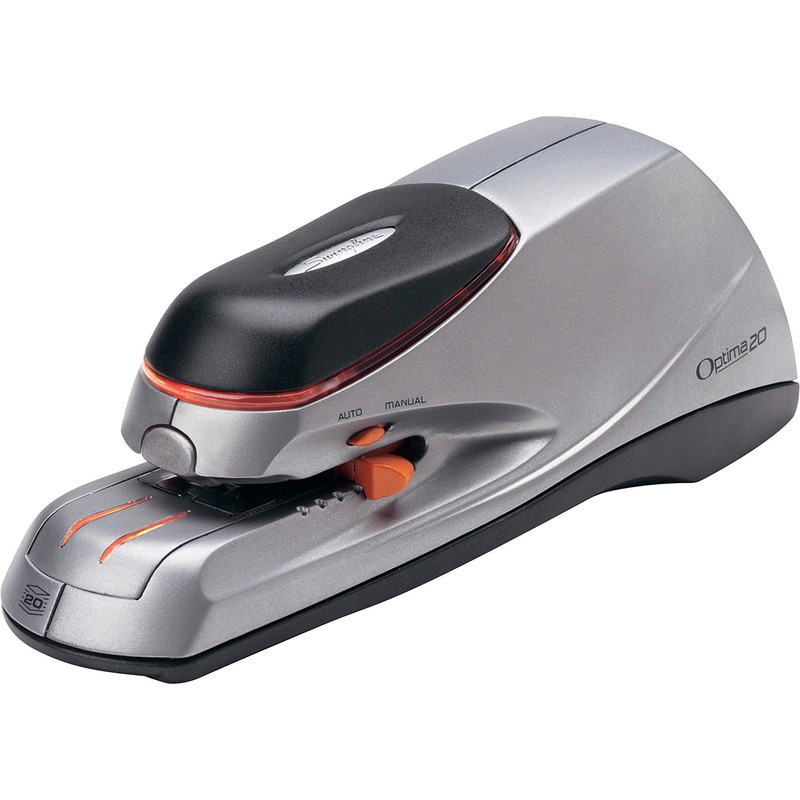 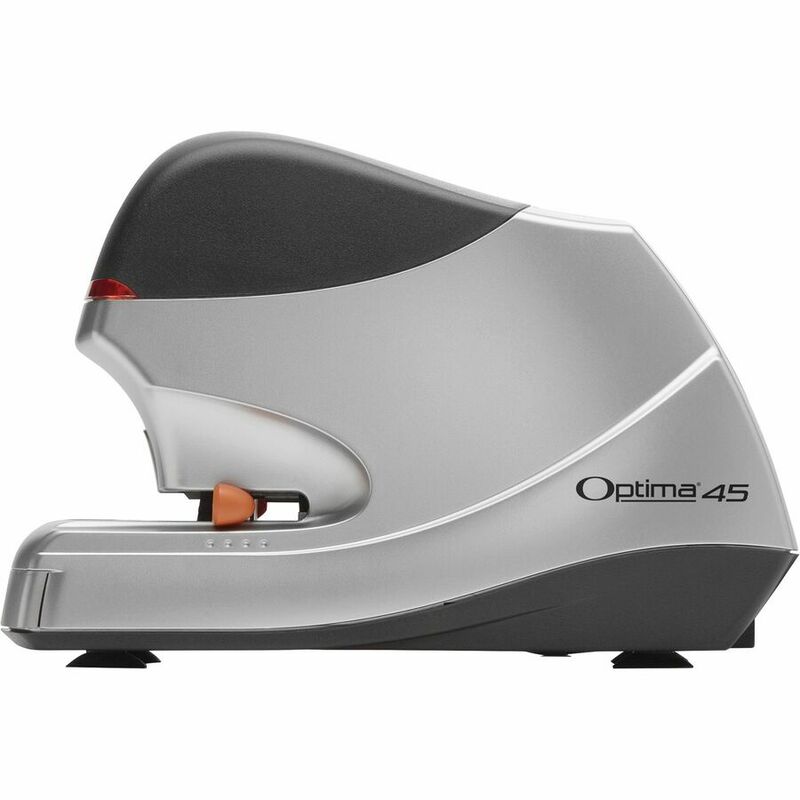 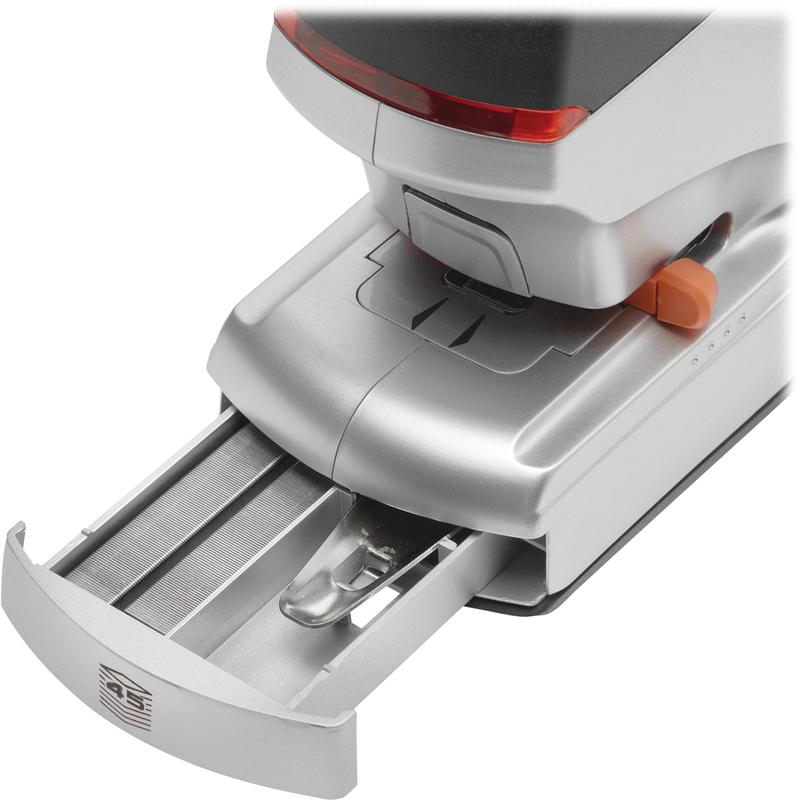 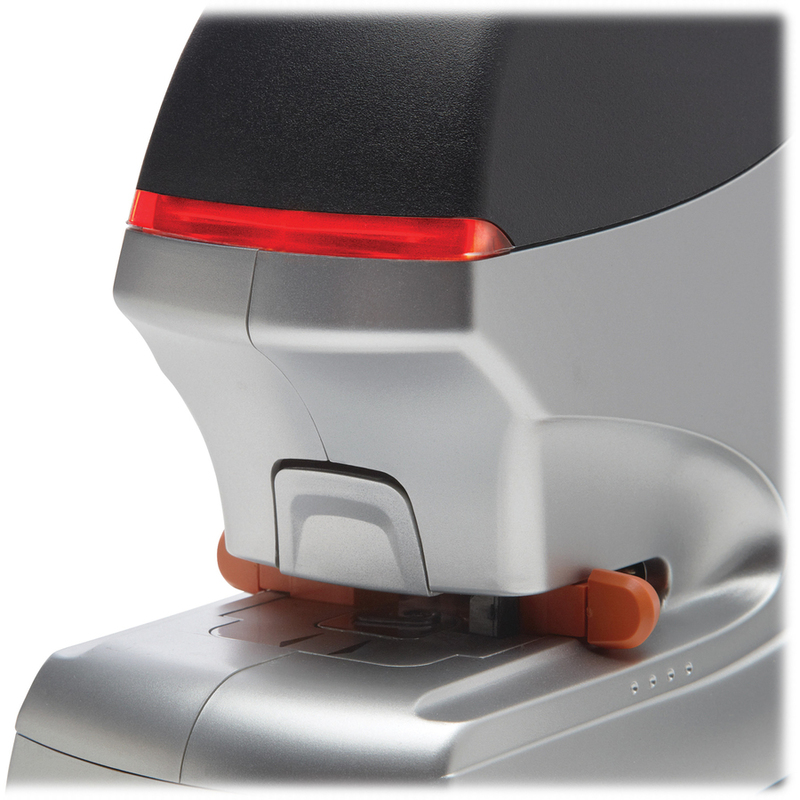 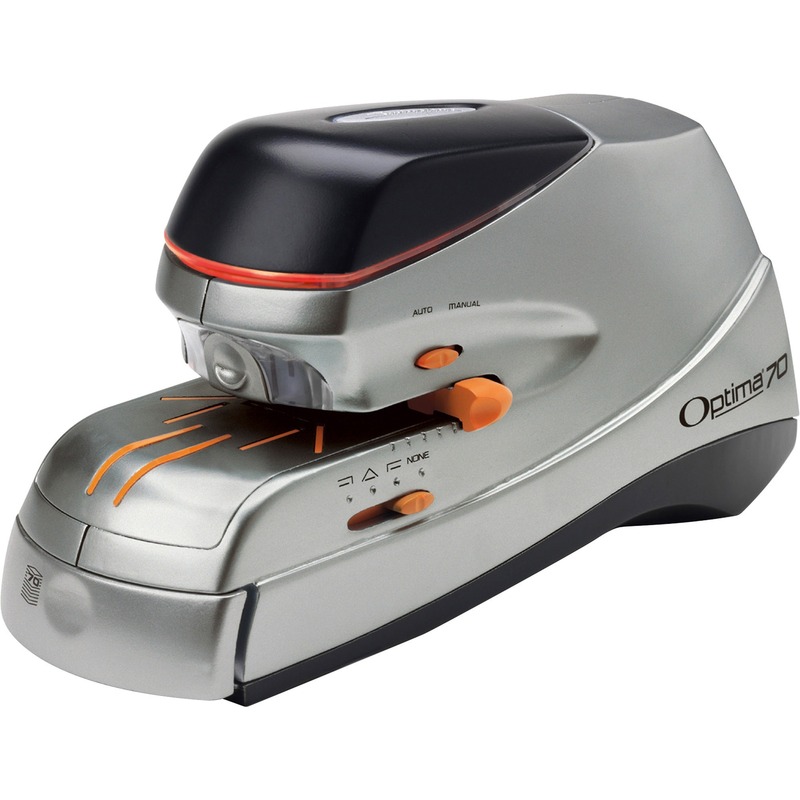 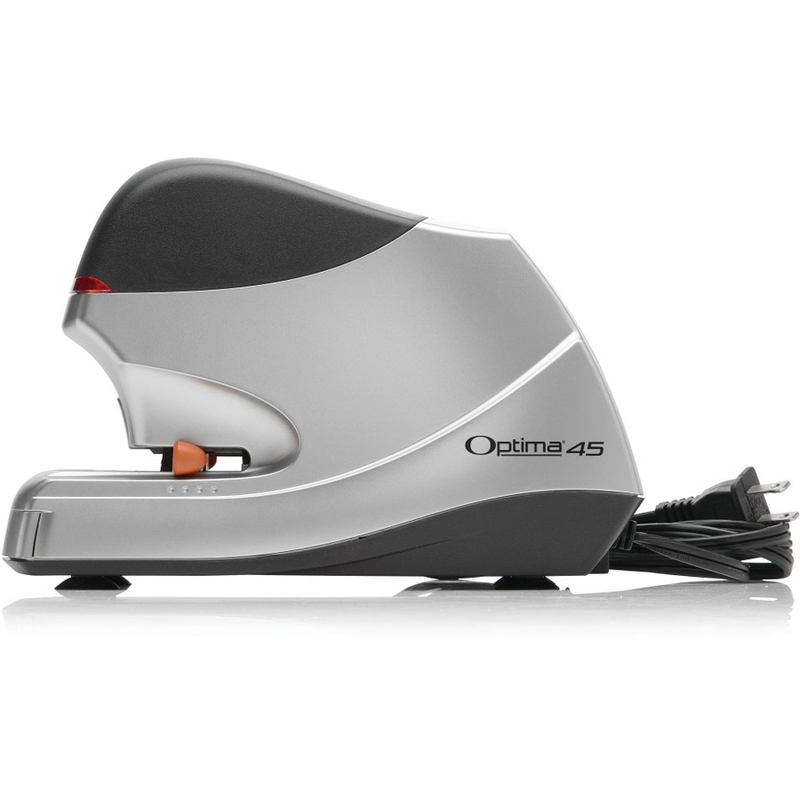 Optima 45 Electric Stapler fastens up to 45 sheets at a time using Optima Premium Staples. 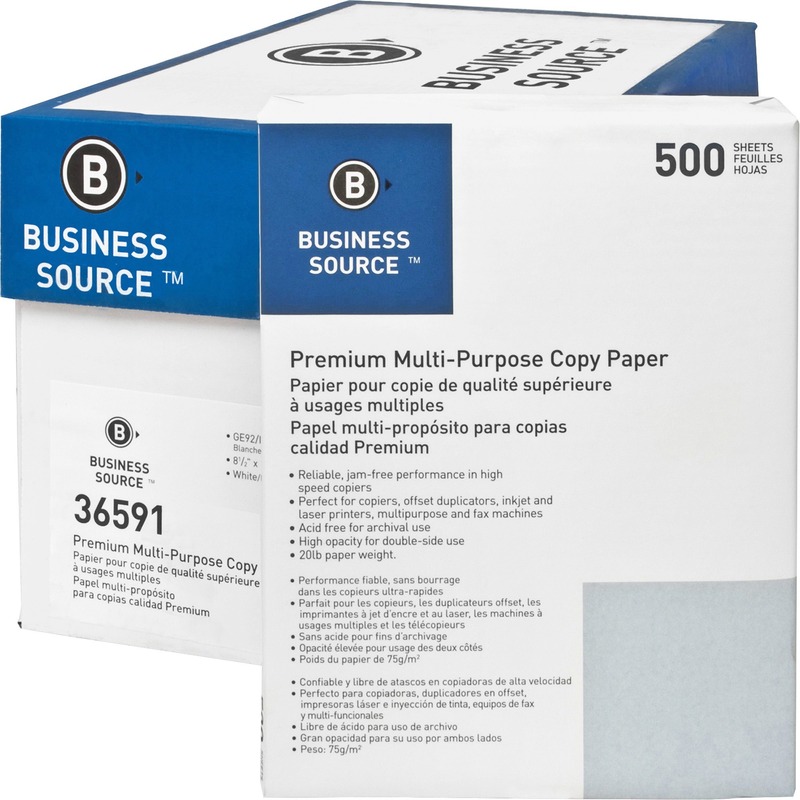 Quiet performance blends into an office environment. 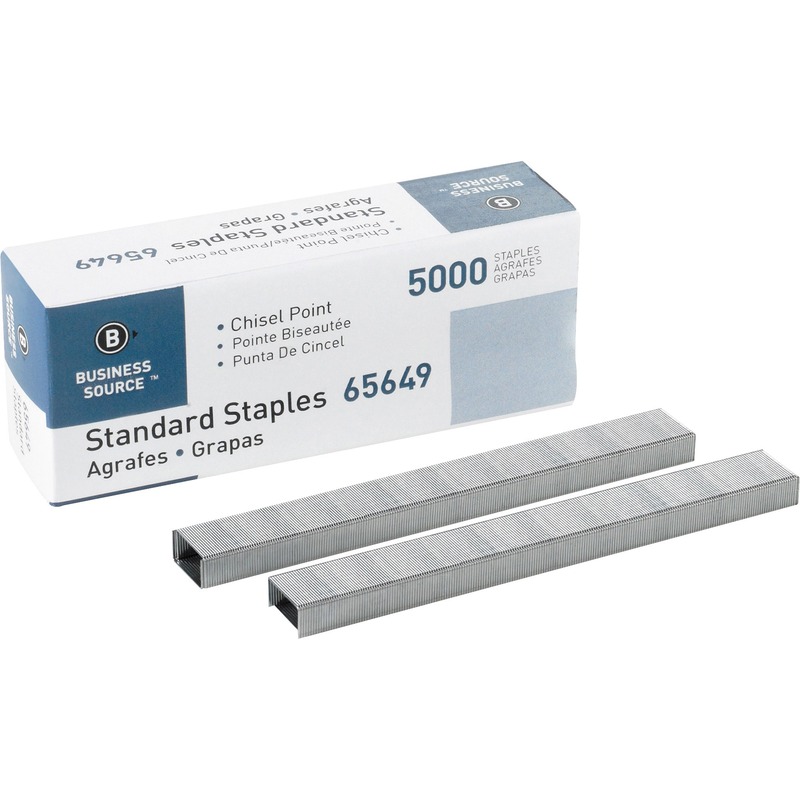 Flat clinch mechanism means neater stacks of stapled paper. 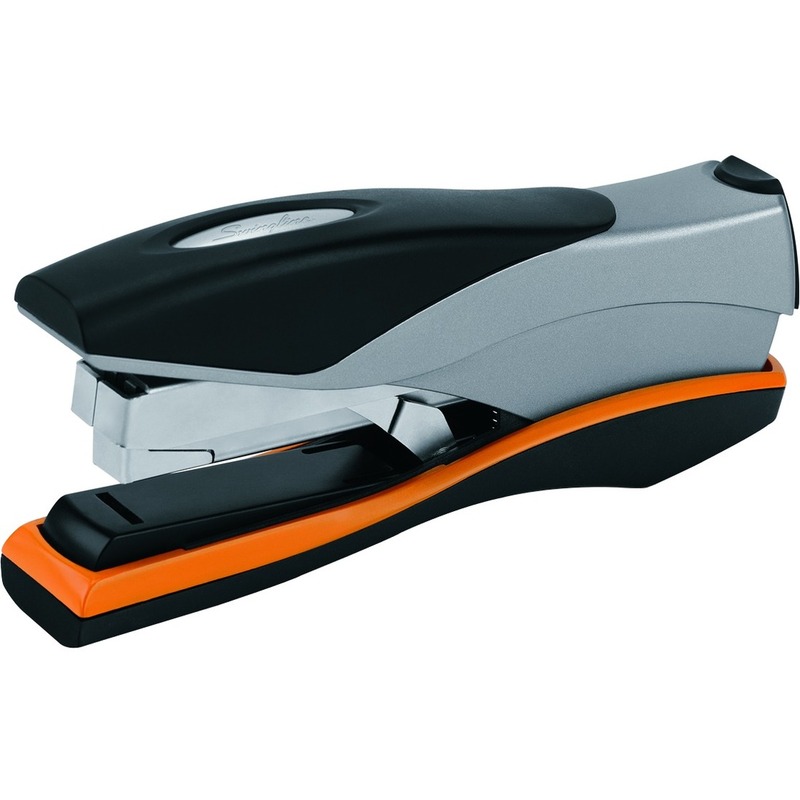 Intuitive user control puts you in charge of where and when stapling activates. 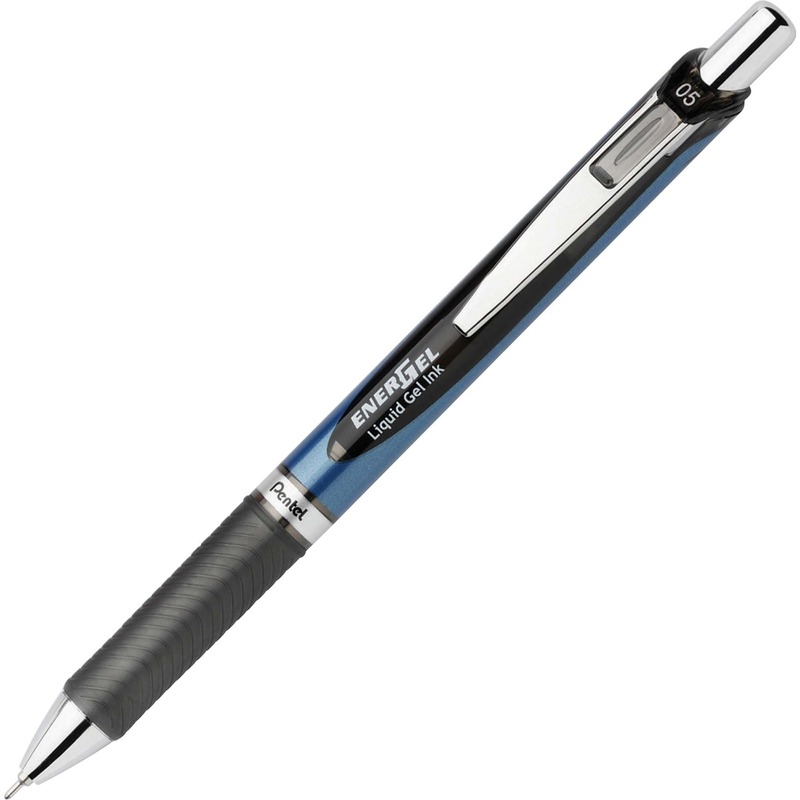 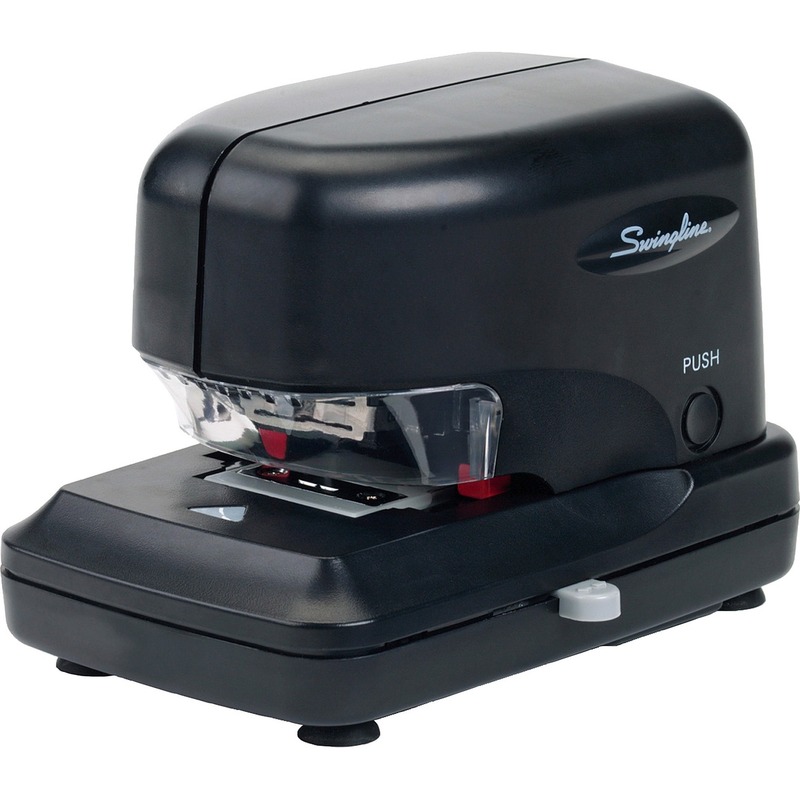 Insert paper for automatic stapling, or press the comfortable grip and let the stapler's motor do the work. 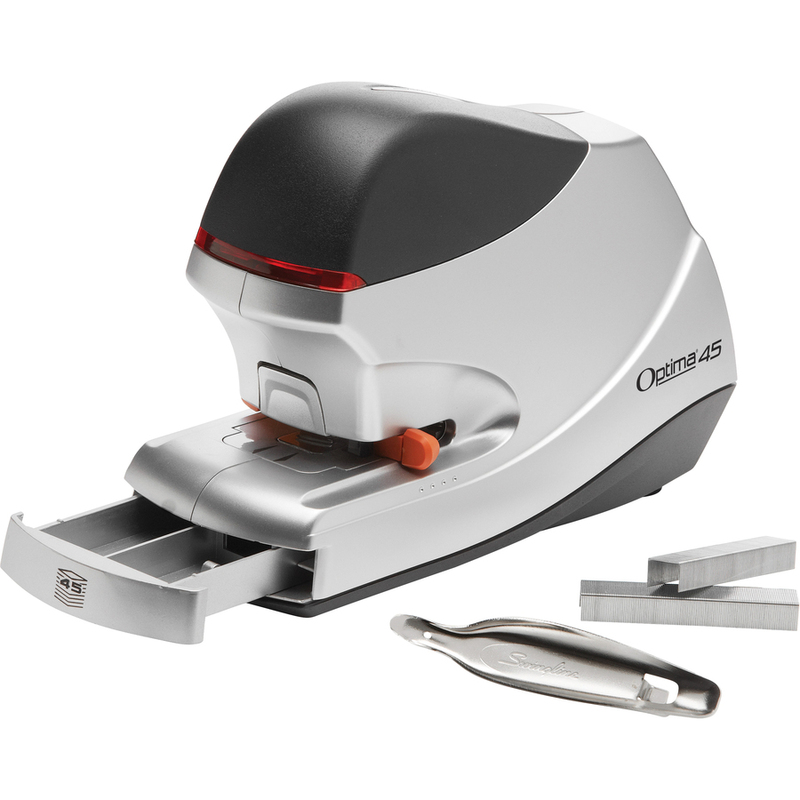 LED low staple indicator helps prevent you from running out of staples. 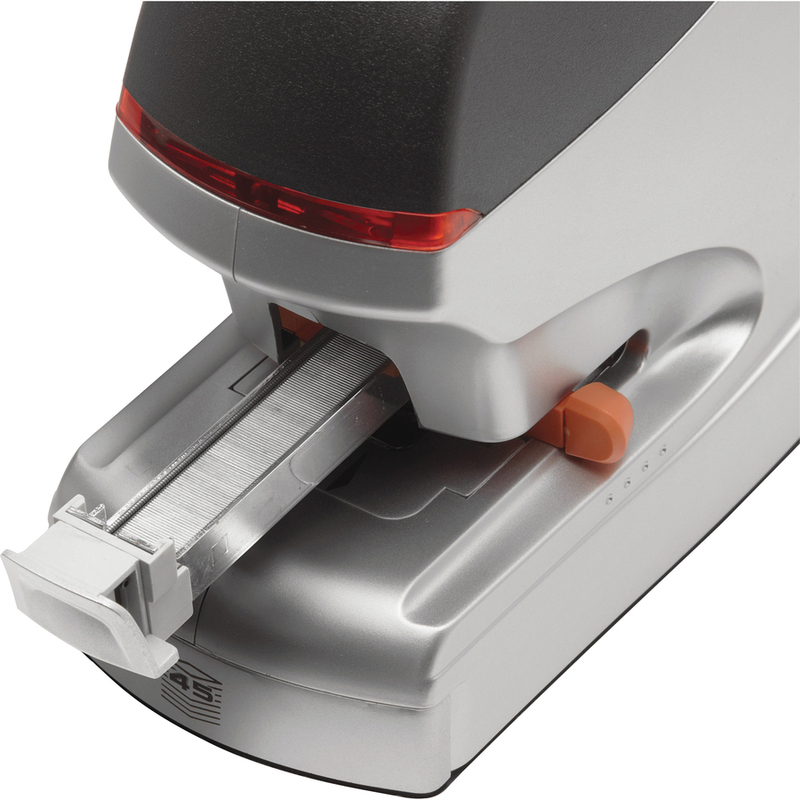 Electric stapler includes stack height gauge and staple placement guides. 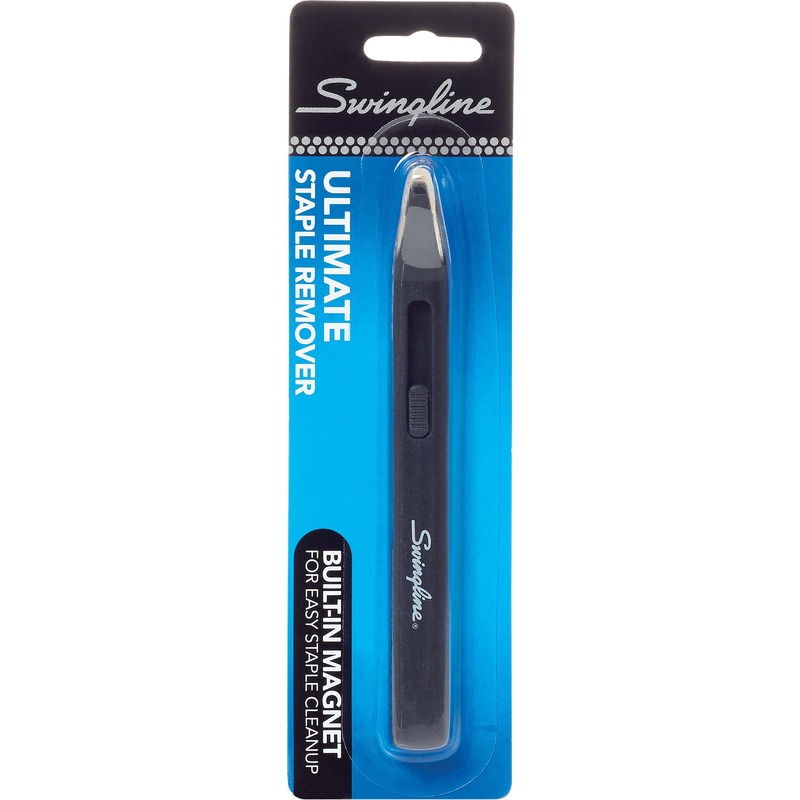 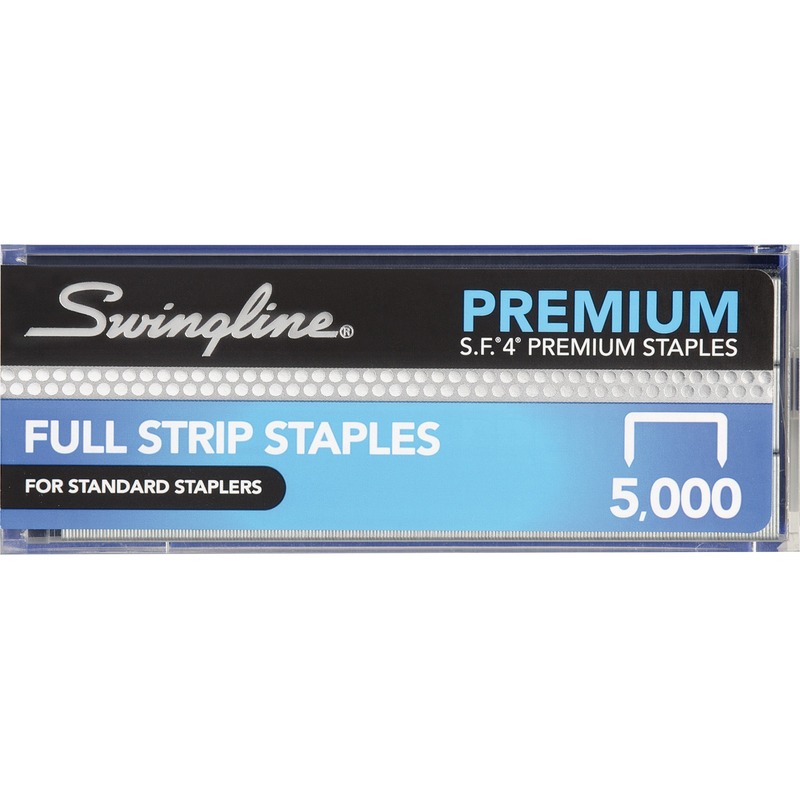 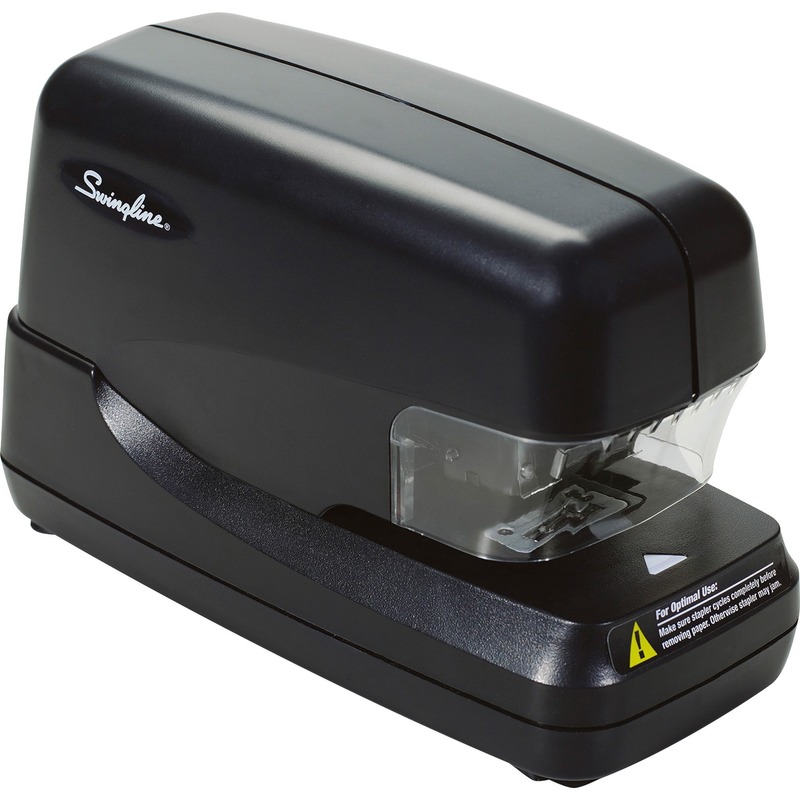 Delivers jam-free stapling with Swingline S.F. 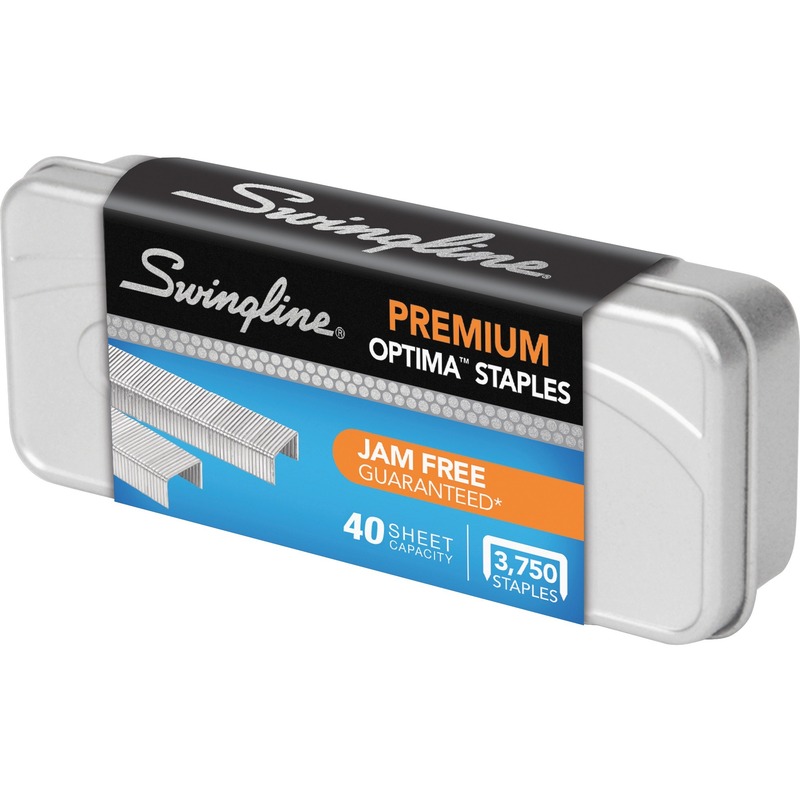 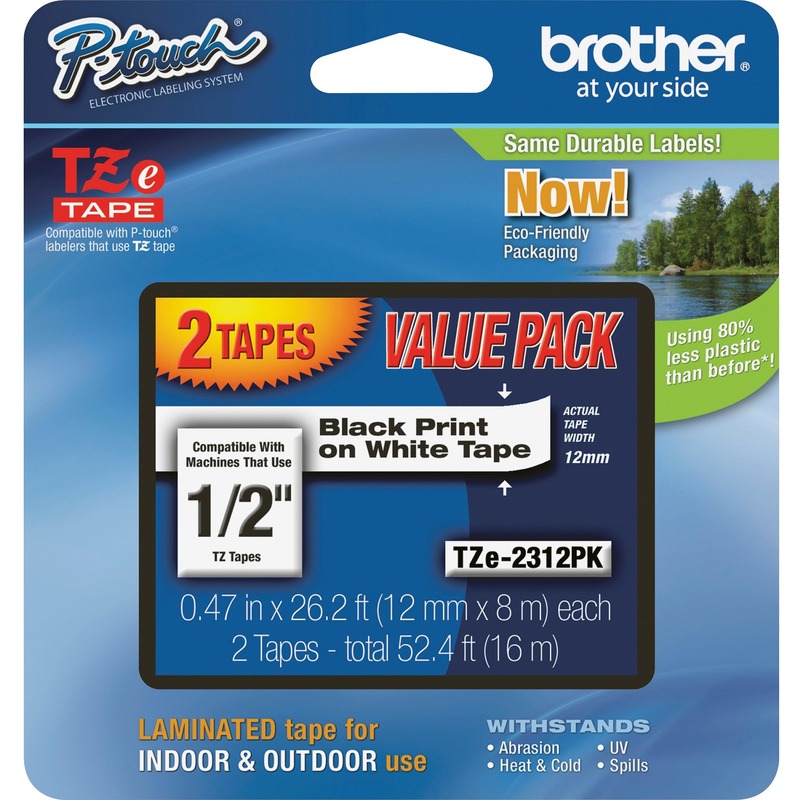 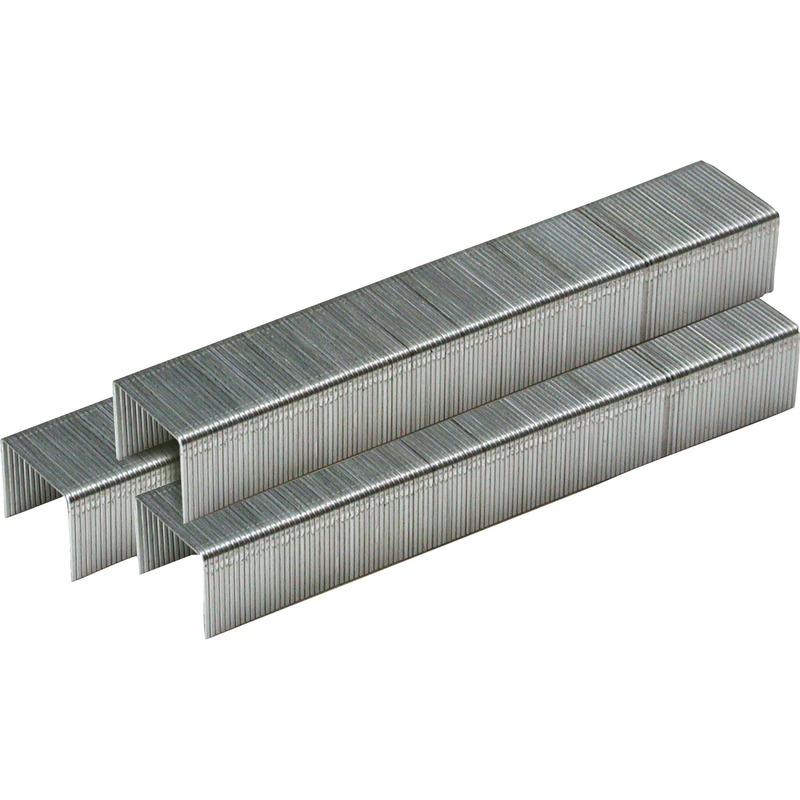 4 or Optima Premium Staples.